February 19, 2014 | Meagan Miller & filed under Uncategorized. The Homelessness Radio Marathon is an annual radio event which broadcasts nationally live from the streets all night, coast to coast to coast, to raise awareness of homelessness in Canadian communities. Now in its twelfth year, this year marks the first time the Homelessness Radio Marathon moves from its original host, CKUT 90.3 FM Montreal. 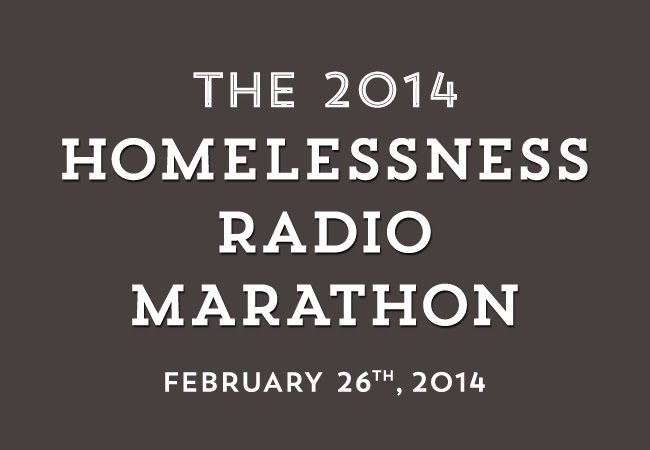 Starting at 5 p.m. on February 26th, 2014, CJSR will join forces with 16 campus and community radio stations from across Canada to broadcast for 14 hours to spotlight the crisis of homelessness across the country. We’re eager to work in solidarity with stations across the country to find solutions to this national problem. For more information on this initiative, please visit cjsrnews.com/homeless.